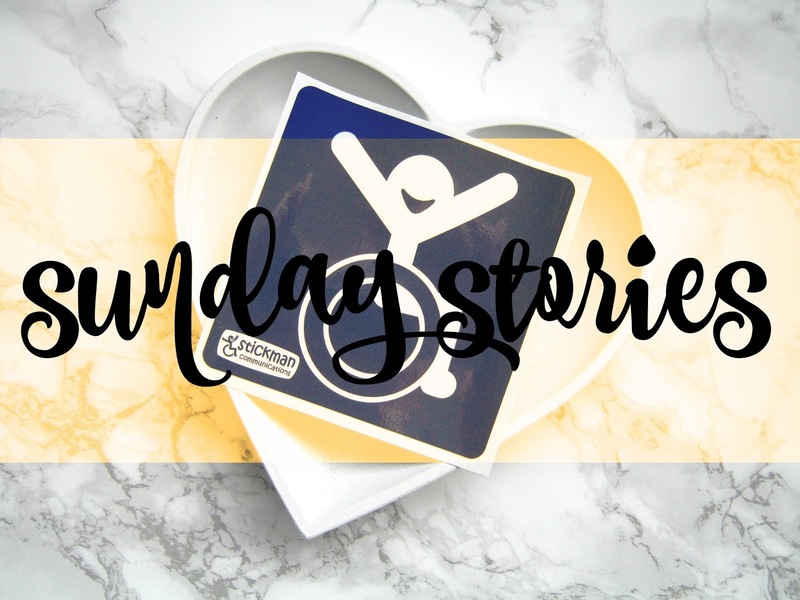 Sunday stories is a new series on my blog where every week a different person talks about their condition (physical, mental etc. ), shares their story and raise awareness. For the past 5 years I've used my blog as a space where I could do just that but I wanted to extend things even further to allow others to talk and raise awareness of their conditions. I'm really excited to introduce everyone to you! Today the lovely Holly is sharing her story and journey with hearing loss. Adult hearing loss caused by Ehlers Danlos Syndrome. The bones in our ears are held together by connective tissues. Mine has got lax which means that both the ligaments holding the tiny ear bones & my ear drums are loose and no longer transmit sound as effectively. At my latest hearing test, both ears were showing moderate loss where I can't process sound under 40Db. That means whilst I can hear noise of conversations, I can't piece together the distinct sounds to make words without lipreading to support it. I wear hearing aids, but this is pretty new (this year) and I find that the amplified noise can be overwhelming when there's lots of different noises. I've had mild loss for a number of years, but when I went back to work in September, I realised that if I wasn't subconsciously lipreading, I didn't have a clue what my kids were saying! I went to my GP who did a quick hearing test with a tuning fork (?!) and sent me straight for a full hearing test which showed a significant drop since the last test. My GP is incredible. Knowing I have EDS, she's read up around it and encourages me to be my own pain specialist. When I arrived with concerns, she was very honest about there being very little support for adults under 55 with hearing loss. 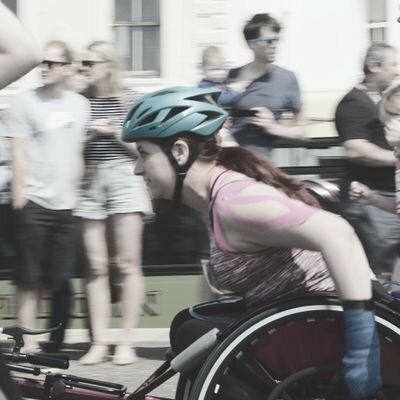 Teaching with both a wheelchair & now hearing loss is hard. I'm lucky that most of my classes know me well and have been learning sign language along with me! I can now tell them off from across the classroom! The younger ones (& some of the more challenging kids) treat it as a weakness to hone in on. Because of that, I've had to be extra tough and be that strict teacher (I hate being that- it's not me). A few have passed comments thinking I can't hear them... my current bug bear is "they see me rollin" being sung as I go past. I hate calling out an 11 year old for ableism. Mainly because I want to believe that they don't know any better, but secretly because if kids are teasing the adults, it can't openly affect us, but actually it makes me feel very vulnerable. At home, I tend to discard my hearing aids and my husband & kids know to tap my arm if I'm not looking at them. My eldest daughter is 12 and she's helping me learn BSL in return for me helping her learn French & German. So far we've both aced our tests! She's old beyond her years & I'm ever so proud of both of them. Hearing aids feel weird, so take time to get used to them. It's not weird to want to return to your quiet / tinnitus filled world without the outside world invading your ears. There are some amazing gadgets out there that use Bluetooth to help you connect to your phone/tv/group conversations. If you're working, Access to Work will help you find the right equipment & may help your employer pay for it. Also, don't wait until you are profoundly deaf to learn BSL. Like other languages, it takes a while (and practice) to learn. Even if you're likely to remain at moderate, it's an infinitely useful method of communication! It's not just old people who lose their hearing! The NHS automatically funds hearing aids for people over 55 through places like specsavers, but younger adults have to go through their local hospital which here is a 9 month waiting list. Functionally, my ears are no different, but just like other aspects of EDS, I'm that square peg in a round hole. It is frustrating & it's not easy to connect with people in a similar situation. I'm not grumpy, I probably just didn't hear you!! You can follow Holly on twitter here and she also has a blog, The Hippy Geek! You can learn more about hearing loss on the Action on Hearing Loss website, where you can also get some support. Thank you! I had a little cry at this! I'm down to 50-60Db loss now & it's so lovely knowing that I've got amazing friends out there like Shona to talk it all through with. Silver lining - my new hearing aids arrive next month & are purple sparkly ones! Thanks for this. I hope to start my own blog about my hearing loss and it's always good to see others sharing positive stories of their disabilities. So happy that it has inspired you to start your own blog!